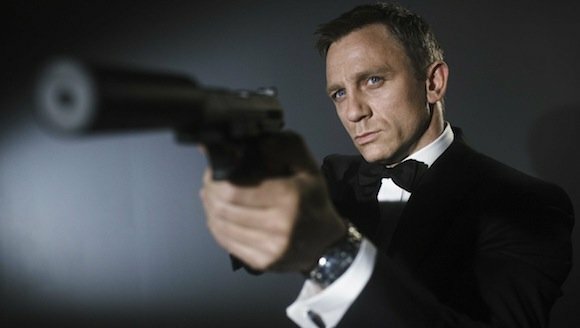 Daniel Craig’s storied departure from MGM’s James Bond franchise has taken another turn today. According to Deadline, the British actor is now circling a role in Logan Lucky, Steven Soderbergh’s NASCAR heist drama – and much-touted return to directing – that has also opened negotiations with Katherine Heigl. In tandem with the report, the outlet goes on to reveal that Jamie Bell is now tipped for the vacant James Bond role, after hosting talks with Barbara Broccoli, who holds a long-term producing gig on MGM’s prestigious spy series. Bell, who co-starred with Daniel Craig in Edward Zwick’s war thriller Defiance, is perhaps one of the more left-field choices for the license to kill, given that Idris Elba, Tom Hiddleston and a handful of other British actors are also seemingly in contention. Heck, Gillian Anderson even tossed her name into the hat earlier this week. As for Logan Lucky, the fact that Daniel Craig is teeing up a movie set to enter production in the fall all but confirms his tenure as 007 is coming to a close. Deadline doesn’t disclose who the actor will play in Soderbergh’s picture – it’s a similar case for Heigl – though we do understand it’ll revolve around two brothers who stage a near-impossible heist during a NASCAR race. Adam Driver, Seth MacFarlane, Channing Tatum and Riley Keough of The Girlfriend Experience already feature on the growing ensemble. One actor that won’t be a part of the cast though is Michael Shannon, who recently bowed out of the movie due to a scheduling clash with Guillermo del Toro’s as-yet-untitled Cold War romance. Logan Lucky, meanwhile, is primed to enter production in the fall. But the more debatable tidbit here is Jamie Bell allegedly circling the James Bond role, and you can share your thoughts on said casting down below.